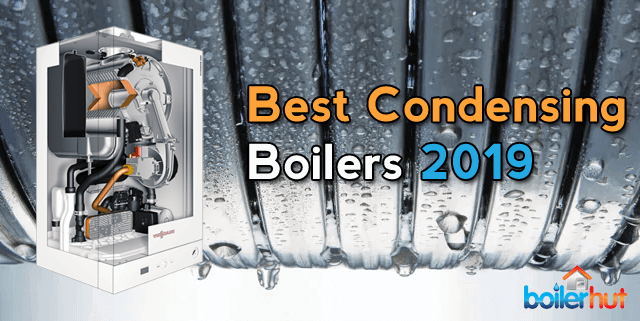 Best Condensing Boiler | Which Boiler has the Highest Energy Efficiency? If you’re looking for the best condensing boiler money can buy, this post may be useful. Before we get into the boiler comparisons and reviews though, if you’re new to this, let’s first understand what a condensing boiler actually is. In short, all boilers manufactured in 2019 are condensing boilers, doesn’t matter which configuration, whether Open Vent, Sealed System, or Combi. All boilers, whether non-condensing or best condensing boiler, have combustion emissions, like heated gases, pass through their heat exchangers, transferring the energy that’s generated to radiators or under-floor heating, which spreads heat around your house. After this is done, the remaining combustion gases are released into the air outside through the flue, usually up through the roof or through the wall. In older, non-condensing boilers, some portion of this heat is lost during this process, because along with the waste gases a large amount of steam that forms during the burning process (due to the water contained in natural gas in its initial state) is being pushed out. The released steam carries an untapped amount of evaporation energy, that older, non-condensing boilers are unable to make use of. Whether you buy a cheap or the best condensing boiler manufactured in 2018, it will recycle the water vapour through their primary heat exchangers, recovering latent heat of vaporisation. This condensed vapour leaves the system in liquid form, via a condensate pipe into a drain. Condensing boilers have a fan installed next to the heat exchanger working at variable speed. 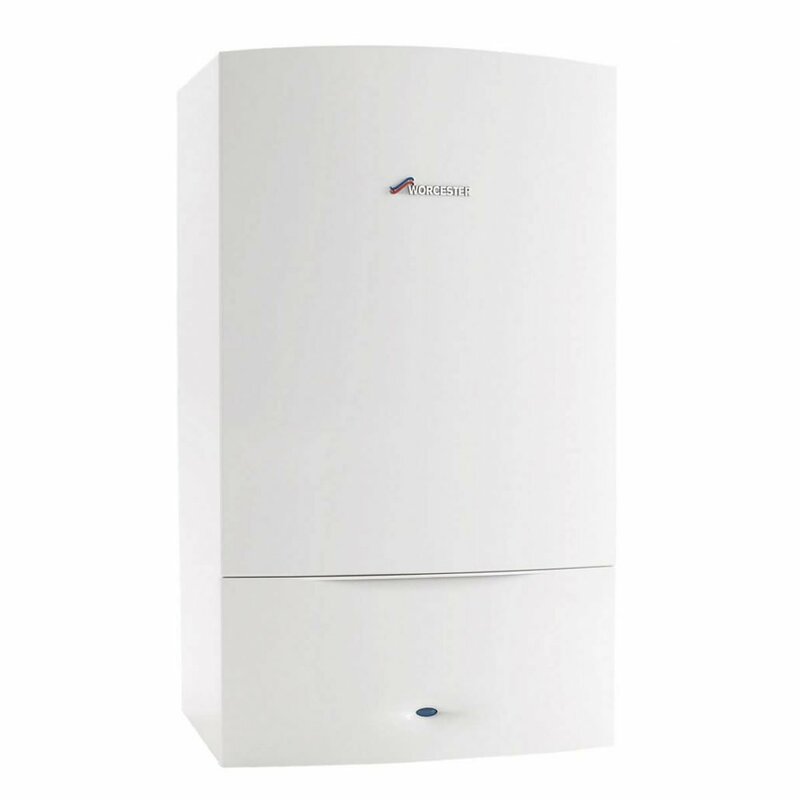 For these to work at optimum efficiency, a condensing boiler houses a closed combustion chamber connected to a coaxial flue, so the combustion gases can pass through it. Controlling the fan’s speed helps maintain an optimum combustion ratio of air and gas. To minimize any heat loss from the flue gases, it’s important for the boiler’s heat exchanger to allow water vapor condensation. A condensing boiler works at its best when the heat exchanger surface is equal or below what’s called the dew point temperature. Normally, the dew point temperature for natural gas is around 55 degrees Celsius. And so, for the boiler to work in condensing mode, the temperature of the coolant in the return loop (when the coolant returns back to the boiler) should not exceed 57 degrees Celsius. If properly installed, the best condensing boiler will not only heat your home and provide hot water consistently, but can also reduce your gas consumption by 20% to 25%. According to the Energy Saving Trust, you can save anywhere between £300 to £500 per year on your energy bills by switching to the best condensing boiler along with other energy saving measures like draught proofing your doors and windows, insulating your walls, using smart controls or weather compensation etc. When you buy the best condensing boiler in 2019, you can rest assured in the knowledge that they will be at least 90% energy efficient out of the gates, and can go up to 94% energy efficiency with the help of programmable thermostats or internet enabled smart learning thermostats like Nest. 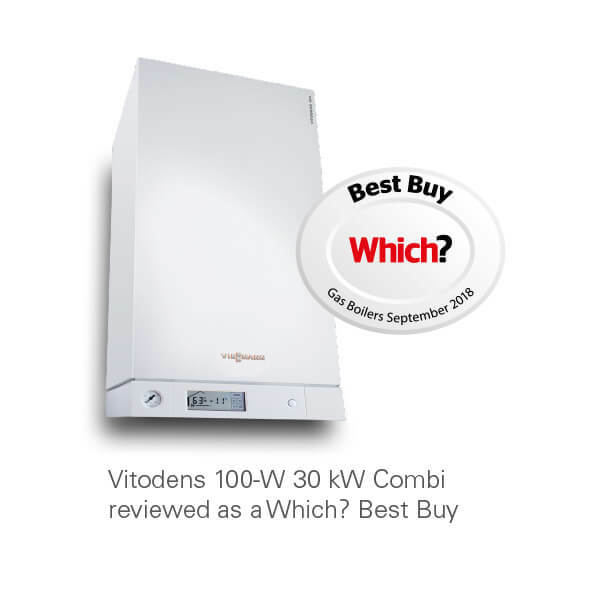 A premium, high end, top of the line condensing boiler like the Viessmann Vitodens 200-W can go up to an amazing 98% (and above) energy efficiency. Compared to this, older non-condensing boilers started at about 80-85% energy efficiency, and over years of daily use dropped down to 70% or even 50% efficiency. That’s because the internal components of a boiler go through massive amounts of thermal stresses on a daily basis for years, resulting in corrosion which reduces the efficiency. If your existing boiler is older than 12-15 years, chances are it’s a non-condensing boiler, and you may be paying more on energy bills than you need to. In monetary terms that means for every £100 that you spend on your energy bills, with an older non-condensing boiler operating at 70% or 50% efficiency, you may lose £30 to £50. And with a modern condensing boiler operating at 94% efficiency, you may lose only £6 for every £100 spent on energy bills. Because less heat is lost through the flue gases, you increase your energy efficiency and waste lesser energy by investing in the best condensing boiler. So, on top of saving your hard earned money on energy bills, you’re also putting out fewer emissions into the atmosphere and being environmentally responsible. 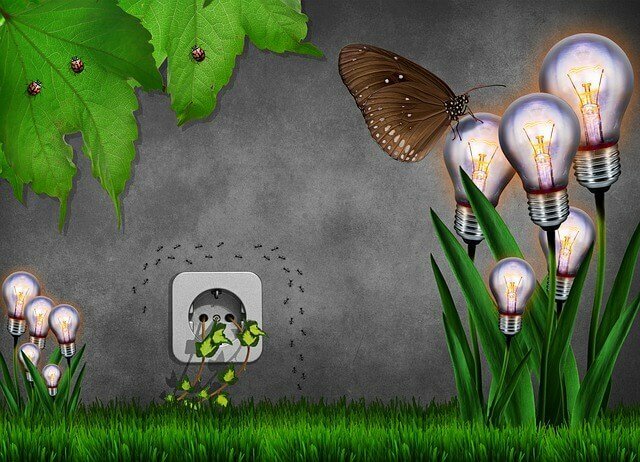 A condensing boiler can go a long way in reducing your carbon footprint. Your decisions today can determine what kind of planet you leave behind for your future generations. And yes, every single person counts. As Mahatma Gandhi said, be the change you want to see in the world. When the condensing process happens, which means after cooling the vapor turns into liquid, it releases an amount of thermal energy. Older, non-condensing boilers were designed to avoid the condensation process. A modern condensing boiler loves the condensing process. The condensation happens in a state-of-the-art heat exchanger within a modern condensing boiler, which absorbs the heat and transfers it to radiators around your house. The secret to exploiting condensation for energy efficiency has been known for a long time, but it hasn’t been implemented effectively in home or industrial heating appliances until the most recent technological innovations. To maintain high efficiency for longer, the primary heat exchanger needs to be robust. Boiler manufacturers in the UK use either aluminium or stainless steel for their heat exchangers. It is no secret that stainless steel is much more durable, reliable and less prone to corrosion compared to aluminium. Viessmann are one of the only boiler manufacturers in the UK who use a patented Inox-Radial Stainless Steel Heat Exchanger for their best condensing boiler range. And because they manufacture it in-house, they are able to compete at the same price point as market leaders in the UK, despite having a technologically superior boiler. 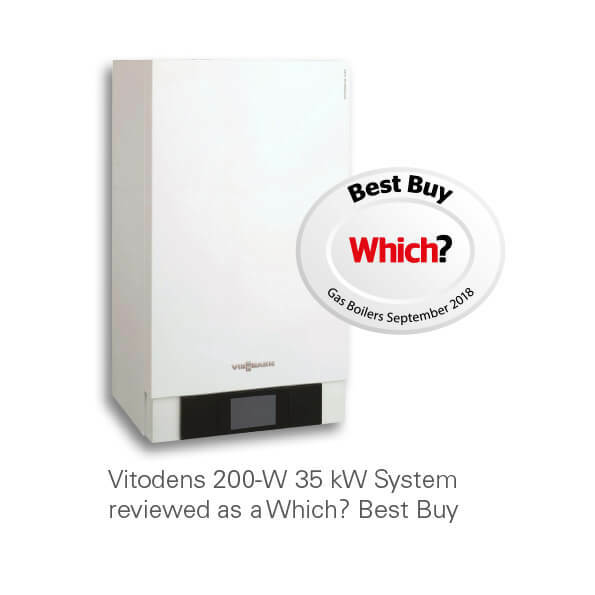 They are also one of the 3 “Best Buy Boiler” award winners in the UK. The other two being Worcester Bosch and Vaillant, both of whom use an aluminium heat exchanger. This is one of the, if not THE best condensing boiler money can buy in the UK at the moment. It’s one of the most powerful residential boilers available, because it’s almost as powerful as a commercial boiler. As we mentioned earlier in this post, this boiler goes up to a whopping 98% energy efficiency with a combination of high quality internal components, innovative engineering solutions, and Viessmann’s Weather Compensation. 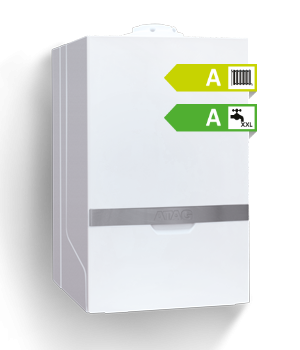 A lesser known brand in the best condensing boiler space, ATAG is a Dutch manufacturer making some rumblings in the UK with their high efficiency boilers with a unique stainless steel heat exchanger. Their primary heat exchanger condenses twice, which is why they can achieve a high energy efficiency figure of 94% and above. 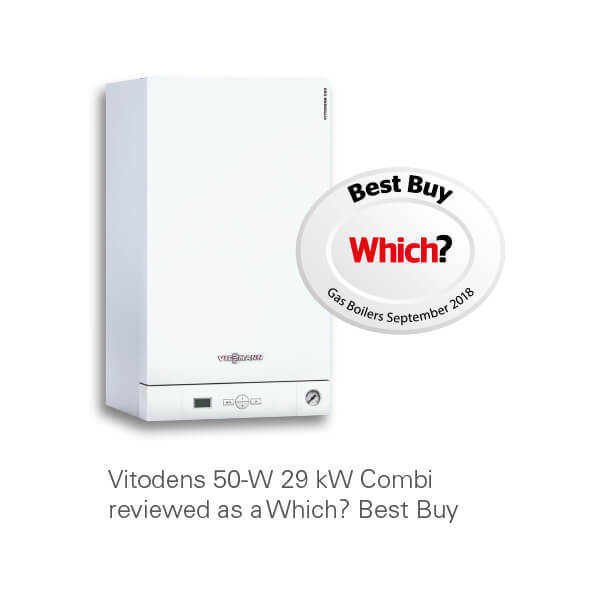 This is one of Viessmann’s highest selling boilers in the UK and rest of Europe and fits nicely between the entry level Vitodens 050-W and the high end Vitodens 200-W (number 1 in this list). 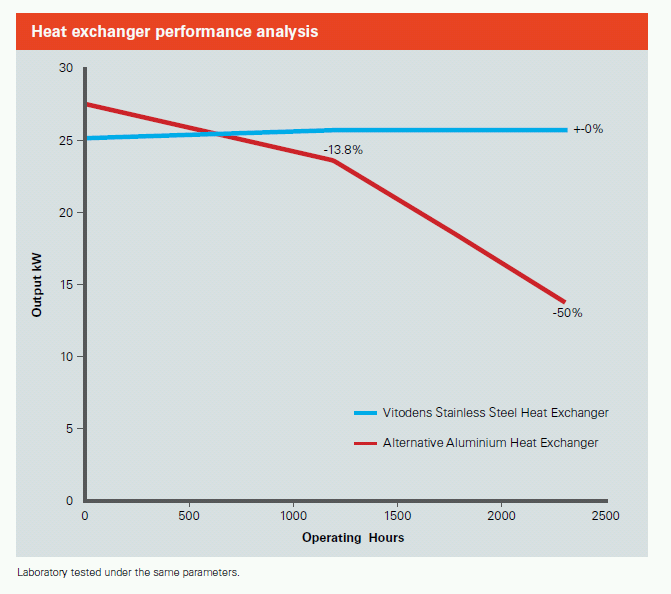 One of the reasons why Vaillant and Worcester Bosch don’t score higher than Viessmann is because they still choose to use aluminium for their heat exchangers, instead of stainless steel. 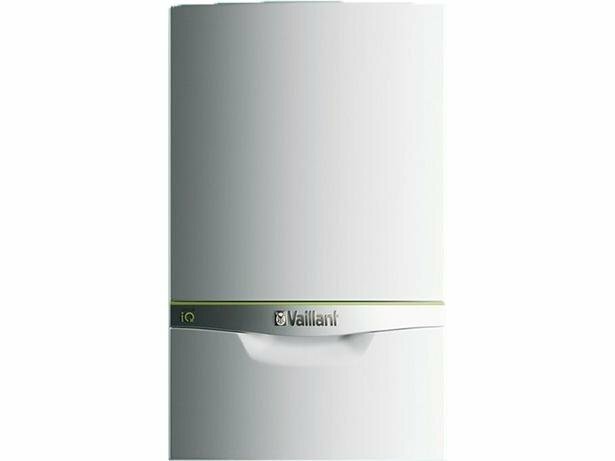 This attempt from Vaillant in the best condensing boiler space has its merits. It’s a high efficiency boiler and their lowest fuel consumption model. Vaillant also claim 85% of its parts are recyclable at the end of its life. This boiler can be programmed and controlled from your smartphone or tablet as well. Viessmann’s entry level model in the best condensing boiler arena, it has surprisingly good performance at an incredibly affordable price. What’s more, it has the same patented Viessmann stainless steel heat exchanger, and is also compatible with weather compensation. And although it starts off at around 90% efficiency, with programmable thermostats and weather compensation it can go up to 92% to 94% efficiency, which is mighty impressive for its price. Worcester Bosch’s best model, while comparable to the Viessmann 050-W and 100-W in terms of efficiency, drops down in ranking due to Worcester Bosch continuing to stick to an aluminium heat exchangers. Still great boilers and market leaders in the UK. However, they’re great for the first 6 years or so and then drop down in efficiency as you can see in the heat exchanger comparison graph earlier in this post.